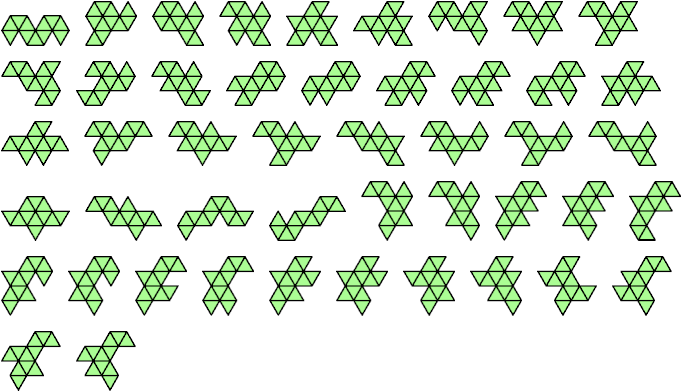 A polyiamond is a figure made of equal equilateral triangles joined edge to edge. A unitary polyiamond is one whose edges all have length 1. See also Catalogue of Unitary Polyominoes.